Elite athlete and SweetBeat HRV super user, Ted Stark, has recorded over 2,300 HRV sessions! Ted just ran the 10K Wharf to Wharf with his dad and finished with his best time ever. 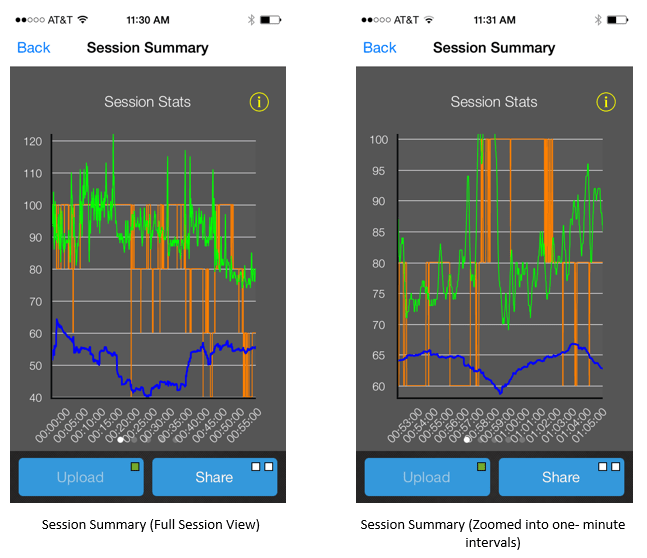 Ted manages his training and recovery by tracking his HRV daily with the SweetBeat HRV app. He also meditates with the Headspace app to balance his nervous system. Ted is a great example of an athlete who uses his biometrics holistically to manage his health and fitness. Ted’s HRV is very high and continues to trend upward. Download the SweetBeat HRV app at www.beathealthy.com. You can use a Bluetooth low energy heart rate monitor chest strap or the Zoom fitness band. Go to www.zoomhrv.com and use promo code ZOOMSB10 for $10 off the Zoom. Outside of the United States go to Amazon and use the same promo code. This entry was posted in Athletic Training, Change your behavior, Change your brain, Heart Rate Variability, HRV Training, Uncategorized and tagged 10k, app, applications, athlete, beathealthy, biometrics, elite athletes, fitness, fitspiration, fitspo, headspace, healthy, heart, heart rate, heart rate variability, HRV, hrvfortraining, hrvstory, instafitness, measureyourhrv, meditation, mindfulness, running, SweetBeat, triathlete, wharftowharf, workout, zoomhrv on August 3, 2017 by sweetwaterhrv. Are you training for the next triathlon or competitive event? 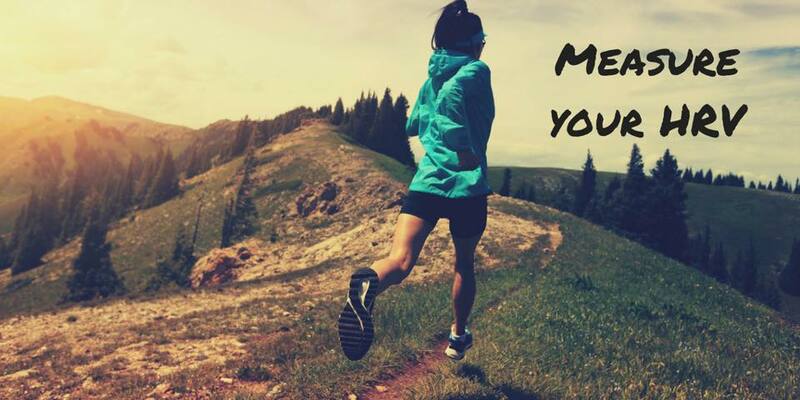 You need deeper insight into your training and recovery. Measure Your HRV with the SweetBeat HRV app so you know if you’re recovered from the previous day’s training. Train smarter and reach higher levels of fitness by tracking your HRV every morning. Download the SweetBeat HRV app for iOS and Android at www.beathealthy.com or click on the logos below for iTunes and Google Play. Use the promo code ZOOMSB10 for $10 off the Zoom device at www.zoomhrv.com. P.S. The Zoom is resistant to 50 meters! This entry was posted in Athletic Training, Balance Your Nervous System, Change your behavior, Change your brain, Heart Rate Variability, HRV Training and tagged applications, athlete, DailyBeat, fitness, health, heart rate variability, HRV, lifetrak, SweetBeat, training, triathlete, triathlon, wearables, wellness, zoom on May 24, 2017 by sweetwaterhrv. SweetWater Health is proud to announce a new partnership with LifeTrak. Their wrist-worn device, Zoom, is optimized for SweetBeat HRV and will work with DailyBeat HRV and SweetBeat on Android. Compatibility with our partner HRV applications coming soon. How do I purchase the Zoom HRV? You can purchase the Zoom HRV device at www.zoomhrv.com. SweetWater customers can use promo code ZOOMSB10 for $10 off the Zoom. What makes this wrist-worn monitor accurate enough for HRV? The Zoom device has been extensively tested to work with the SweetWater HRV family of apps. The Zoom is a completely new user experience. Please read over this information before purchasing the device. You must sit perfectly still while using the Zoom with our HRV applications. No talking, nodding, or any movement for the entire three minute session. What’s new in SweetBeat HRV? Checkup mode is a 3 minute countdown ideally suited for use with the Zoom device. Checkup can be run with any compatible BTLE heart rate monitor chest strap too. The three minute session allows the Zoom user to accurately assess stress and power levels. Checkup mode is recommended for use during the day after the HRV for Training session has been run in the morning. Checkup can be run as frequently as needed to assess HRV and stress during daily activities. 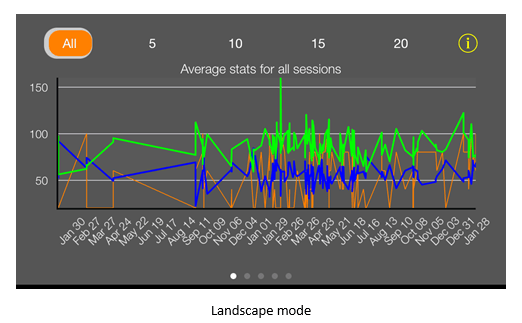 It can also used as a quick snapshot of HRV recovery during the day. Our R&D team is working with LifeTrak to pull workout data, battery info and blue light exposure in SweetBeat! Stay tuned for updates to your SweetBeat app. Email us with questions or concerns: support@sweetwaterhrv.com. This entry was posted in Athletic Training, Balance Your Nervous System, Change your behavior, Change your brain, Heart Rate Variability, HRV Training, Look for Patterns in your Life, Stress and tagged athletic training, autonomic nervous system, beathealthy, biofeedback, health, heart rate, heart rate variability, HRV, HRV for training, mhealth, mobile monitoring, quantified self, stress reduction, SweetBeat, SweetWater Health, vital signs on May 15, 2017 by sweetwaterhrv. Yes, you read it right! There is a SweetBeatLife update available, which includes brand new enhanced graphs. The graphs are completely interactive and allow for a better view of your SweetBeatLife metrics. Zoom in by putting your pointer finger and thumb on the graph and moving your fingers away from each other. Double tapping the graph can also be used to zoom in. Zoom out by using the same two fingers and making a pinching motion. By holding your finger down on the graph, you will create cross hairs to pinpoint. There is a yellow circle with an “I” in the middle of it in the top right corner which opens up the graph’s key. Turning your phone to the left will give you a landscape view. Note: If you do not see these graphs when you open SweetBeatLife, this means you have to manually install the update. You can do this by going to your App store, click on the bottom right tab labeled Updates, and install the SweetBeatLife update. We have been constantly working on SweetBeatLife to make it the most full functioning heart rate variability (HRV) application you’ve ever used. We hope you enjoy these new graphs as much as we do! This entry was posted in Athletic Training, Balance Your Nervous System, Heart Rate Variability, HRV Training, Uncategorized and tagged athletic training, autonomic nervous system, beathealthy, biofeedback, graphs, health, heart rate variability, holistic, HRV, HRV for training, mhealth, mobile health, mobile monitoring, performance, qs, quantified self, recovery, stress, stress reduction, SweetBeatLife, SweetWater Health on February 6, 2015 by sweetwaterhrv. Description: Host Brad Kearns talks with Brock Armstrong (the voice of the MDA blog podcasts and a Sweetbeat ambassador/product tester) and Ronda Collier, CEO of Sweetwater Health, makers of the Sweetbeat Life iOS application. Sweetbeat Life allows for convenient Heart Rate Variability (HRV) measuring and information storage. This discussion will acquaint listeners with the basics of HRV, and proceed quickly to discuss some of the finer points of HRV’s effectiveness in monitoring stress and recovery. Heart Rate Variability is a measurement of the variation in intervals between heartbeats. More variation indicates better cardiovascular fitness and stress management, and is represented in a higher HRV number on a 1-100 scale. Finer details of this show’s discussion include: how Low Frequency (LF) and High Frequency (HF) values correlate with sympathetic and parasympathetic nervous system activity; techniques for how to moderate your stress response and improve your recovery through breathing exercises, yoga, meditation, and extra sleep; and a step-by-step process for how to get started in HRV monitoring (buying the proper equipment, operating the Sweetbeat Life app smoothly, and understanding how to best use the informational graphs generated by the app). This is a fantastic show to help you jump head first into the amazing health technology of Heart Rate Variability! This entry was posted in Athletic Training, Balance Your Nervous System, Heart Rate Variability, Stress, Uncategorized and tagged athletic training, autonomic nervous system, beathealthy, biofeedback, brad kearns, brock armstrong, health, HRV, HRV for training, primal blueprint, ronda collier, stress, stress reduction, SweetBeat, SweetWater Health on December 16, 2014 by sweetwaterhrv. Triathlon World Summit Tickets Available Now! The Triathlon World Summit brings you experts that will teach you their tips and tricks to improving performance and health. Our very own, Ronda Collier, has been interviewed for the Triathlon World Summit. She will be speaking about upping performance using heart rate variability for training. Register now for free! Ronda’s interview will run LIVE November 21st and 22nd. There are a total of 25 coaches, athletes and visionaries speaking between now and then, including our partner Ben Greenfield! View the schedule on their website. They will play several of the interviews live and free. To get access to all of the information (over $600 in educational information, videos, slides, etc. ), you must purchase the digital access pass. FOR A LIMITED TIME ONLY: digital access presale tickets are available for only $47 until event starts. The event begins on November 9th, at 2 pm PST. Get your presale tickets now! COACHING: The Coaches who are helping you remove the noise so you train better, improve health while also helping you get to the performances you desire even when the time you have to train seems against you. NUTRITION: The Nutrition specialists helping change the game by getting you more metabolically efficient, recovering quicker, and not destroying your metabolism or long term health in the process. THE MENTAL GAME: The NLP expert, the lessons from World Champions and the Coaches helping you learn how to develop this crucial 6 inches between the ears so you don’t fall short. MOVE BETTER: The Movement specialists giving you the keys to better economy. Want more power, speed, better fuel efficiency and the ability for you body to endure.. then you need to learn from these guys. The Triathlon World Summit is packed with so much information—answers you’ll need so Triathlon doesn’t wreck your health but improves it while helping you get the performances you desire — you’ll not only watch it once, but also keep it on hand for future reference! This entry was posted in Athletic Training, Balance Your Nervous System, Heart Rate Variability, HRV Training and tagged athlete, athletic training, autonomic nervous system, Beat Healthy, biofeedback, elite athletes, health, heart monitor, heart rate, heart rate variability, HRV, HRV for training, summit, triathlon, triathlon world summit on November 8, 2014 by sweetwaterhrv.